Amazon’s connected TV plans don’t end with the Fire TV, an Apple TV-like device it launched last year – the company announced the Fire TV Stick today, a $39 dongle that resembles the Chromecast, which is only $19 for the next two days if you’re already an Amazon Prime subscriber or if you sign up as a new one. Before the Fire TV launched, we received credible reports that Amazon was working on a device with a dongle form-factor, and this appears to confirm Amazon’s development team was working on more than one type of approach to a connected TV strategy. The press material for the launch of the Fire TV Stick actually calls out the Chromecast by name, noting that Amazon’s hardware actually has two times the memory of Google’s streaming stick, along with a dual-core processor, MIMO Wi-Fi for better connectivity and a dedicated hardware remote. It has 1 GB of RAM on board, 8 GB of local storage and Amazon’s ASAP streaming tech, to launch streaming videos without the buffer delay you’ll normally get with streaming services. Fire TV Stick offers access to Netflix, Prime Instant Video, Hulu Plus, Twitch, WatchESPN and a variety of other services out of the box. 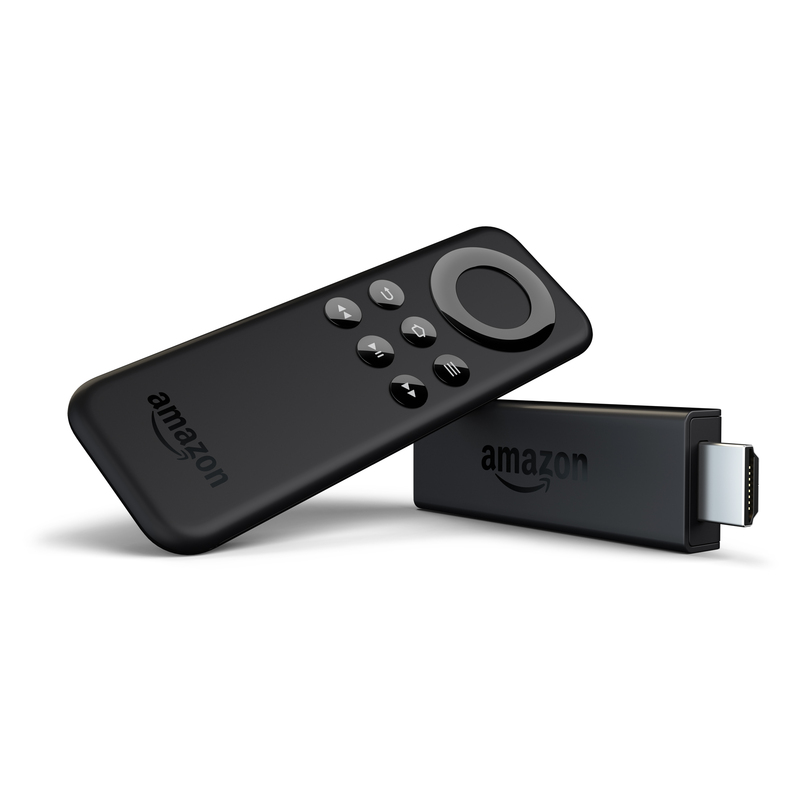 The Fire TV Remote app for Fire phone, Android phone and soon for iPhone, too, allows users to use the same kind of voice search introduced on Fire TV with the Fire TV Stick, and Amazon also includes a free month of Prime membership. Buyers can also add-on a Fire TV Voice Remote for $29.99 if they want to use voice search without an app. The Fire TV Stick offers playback from your iOS and Android tablet and smartphone devices for apps including YouTube and Spotify, too, and lets you mirror your Fire OS and Android devices entirely, just like Chromecast. Second Screen and X-Ray features provide supplementary content on mobile devices, while main content is broadcast from them to your TV. It looks like Amazon might be the first company to offer a serious challenger to Chromecast in terms of both features and value, but we’ll have to wait and see how it performs in the real world to be sure.